The makeup and costumes, period mise-en-scene and impersonations are admirable, and the two leads do their level best to disappear into their parts. 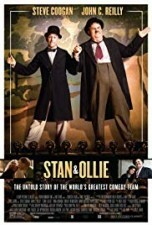 But this stage tour of England and Ireland when the pair were in their early sixties and the overweight Babe (Oliver Hardy) had a failing heart seems most of the way like a very bad idea. 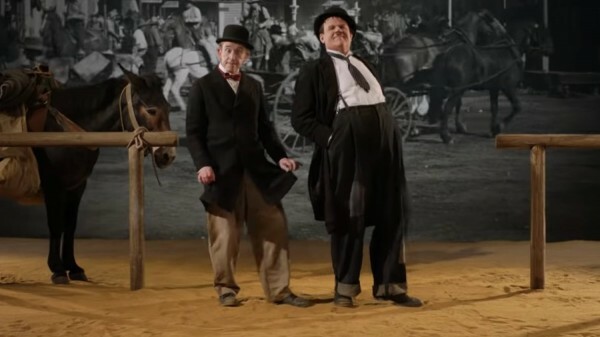 It's touching at the end, this movie about the Thirties and Forties movie comedy team of Laurel and Hardy (ably played by Steve Coogan and John C. Reilly, respectively) trying to go on performing past their prime and box office viability, in 1953. But otherwise it just seems a huge error of judgment. Do we want to see this downbeat situation played out? The action for the most part is merely dreary, with old hostilities between the two periodically dredged up to create conflict.